Huge List of New Releases! | TBR & TBD | February 2019 — TBR, etc. On the Come Up | Angie Thomas | Release Date: February 5th, 2019 | Yay, new Angie Thomas! Thomas’s The Hate U Give was one of my favorite books from 2017 and I’ve been patiently waiting for On the Come Up since I heard it was coming out. (It’s been pre-ordered for ages). Bri wants to be a rapper but she has big shoes to fill. Her father is a hip hop legend was killed right before he hit it big. Bri’s first song goes viral… for all the wrong reasons. She’ll do anything to make it so she can give back to her family.. even it it means playing into the thing that the media has made her out to be. The Beantown Girls | Jane Healey | Release Date: February 5th, 2019 | Three girls from Boston go overseas with the Red Cross during WWII to help out with the war effort. They all have their different reasons for going, but are faced with challenges that far exceed anything they thought they could handle. 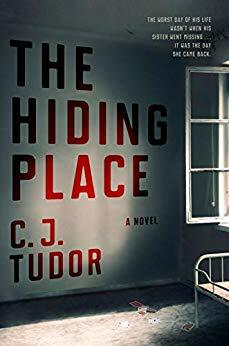 The Hiding Place | CJ Tudor | Release Date: February 5th, 2019 | Sophomore novel from the author of the Chalk Man! A man is being called back to his hometown after a young kid is being put through the same thing his sister was put through. He’s the only one that knows what really happened and may be the only one who is able to stop it. The Lost Man | Jane Harper | Release Date: February 5th, 2019 | Yay, a new Jane Harper! Jane Harper is the author of The Dry (a favorite at TBR Etc.) and this is her first standalone. Two brothers finally meet in the Australian outback after months of being estranged. Their third brother lies dead at their feet. The brothers must find out how get got there, because surely, he didn’t do this to himself. 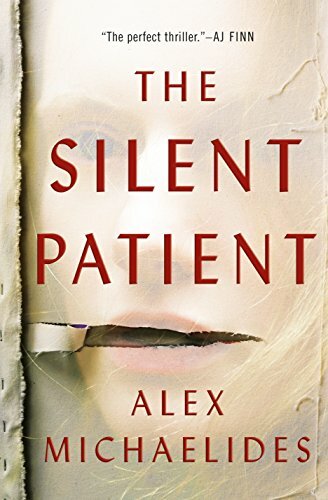 The Silent Patient | Alex Michaelides | Release Date: February 5th, 2019 | Thanks to Book of the Month- this has been getting a lot of early buzz. A seems to have it all- a burgeoning art career, a fabulous home, and a loving marriage- until one day, her husband comes home and she shoots him five times in the face. Or so she thinks. A therapist is working with her and tries desperately to unfold the mystery of what really happened, but she’s not talking. The Winter Sister | Megan Collins | Release Date: February 5th, 2019 | A suspense debut, a woman with a complicated past returns home to care for her ailing mother and dig deeper into what really happened when her sister was murdered sixteen years ago. The Hunting Party | Lucy Foley | Release Date: February 12th, 2019 | A modern “locked room” mystery. A group of college friends continues their New Years Eve tradition of getting a house together. A blizzard descends and old arguments reignite… and one of them winds up dead. 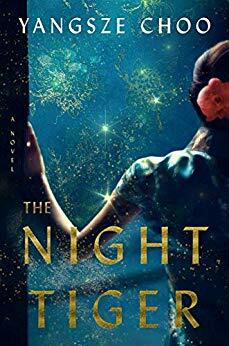 The Night Tiger | Yangsze Choo | Release Date: February 12th, 2019 | The Night Tiger sounds wonderful. In 1930s Malaysia, Ji Lin is working nights as a dancehall girl to help pay off her mother’s mahjong debts. Ren is a houseboy who’s been given a peculiar mission- he has 49 days to find his Master’s missing finger, lest the man’s soul be destined for purgatory. There’s mysterious deaths, rumors of men that turn into tigers, and superstition, but in the end it’s a coming of age story about two people who are trying to find their own way in a society that doesn’t want them to have voice. The Care and Feeding of Ravenously Hungry Girls | Anissa Gray | Release Date: February 19th, 2019 | Althea is the eldest sister in the Butler family- the one who’s always looked out for her sisters and served as a substitute matriarch. So when she and her husband get arrested and put in jail, the town shuns them and the sisters aren’t sure what to think. The only thing they do know is that they’re now in charge of the couple’s teenage daughters. It’s been getting comparisons to An American Marriage, so you know I’ll be reading this one. Parkland: Birth of a Movement | David Cullen | Release Date: February 19th, 2019 | On my guest episode of Sarah’s Book Shelves Live, I called this one my most highly anticipated book for 2019. David Cullen is a journalist who is well known for his book Columbine. Parkland: Birth of a Movement is being released around the one year anniversary of the Parkland school shooting and the teens that took the tragedy and turned themselves into activists. I’m obsessed with the simple, impactful cover, too. The Huntress: A Novel | Kate Quinn | Release Date: February 26th, 2019 | Historical fiction- a war correspondent and Russian female bomber pilot join forces to track the Huntress, an elusive Nazi war criminal. a book thats part history, part true crime on a mysterious, unsolved murder, bitter conflict in Northern Ireland, and its aftermath.